The video revolution is upon us! It’s crystal clear that there are many benefits of video marketing for business. These days, more than 50% of businesses have started using video content marketing. It’s now quite common to see lots of new products and brands being primarily promoted with video on and through YouTube. 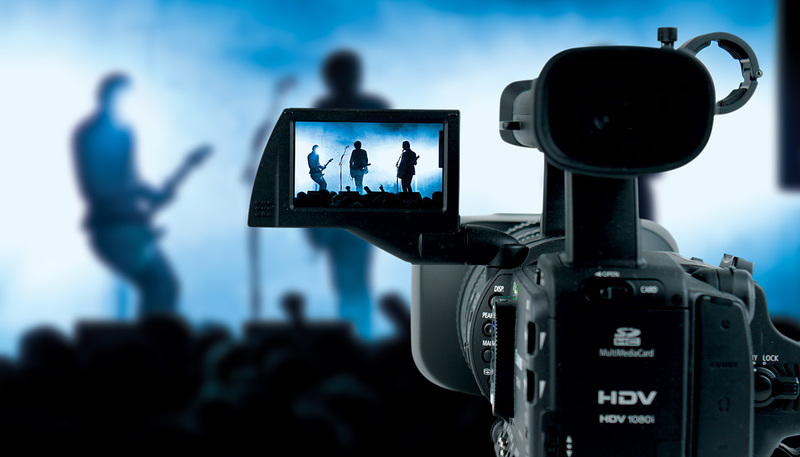 Without a doubt, video should be an important tool in your marketing arsenal. So if you are running any kind of business with an online presence, there’s a ripe opportunity to get into video. 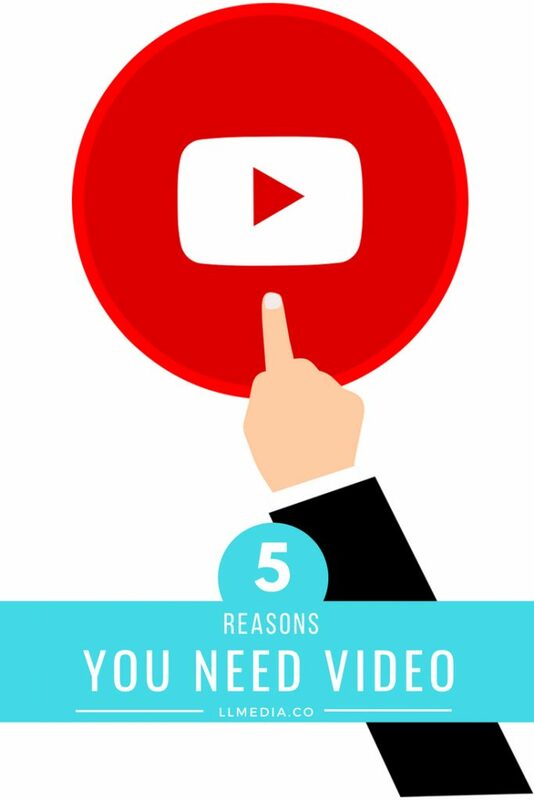 Here are 5 reasons why you should use video marketing right now. Traditional TV commercials are expensive. That’s because TV ads are created by a large, pricey ad team and a large, pricey production crew. Plus buying the “air time” during a hit TV show can be very costly. But these ads reach millions of eyeballs and provide compelling visuals. In other words, TV ads are expensive because they work. Online marketing videos can also reach millions of online viewers and are often quite as compelling (if not more). But what sets online videos apart from TV spots is that online videos can be less expensive to produce especially because “air time” is free. Even huge corporations are taking a huge chunk off their TV advertising budget to shift to online video marketing. But also keep in mind, that nowadays anyone can ‘say’ they are a video producer. Make sure you do your research and hire a professional who has experience and knows what they are doing. It’s a fact often quoted that YouTube is the second largest search engine after Google. The majority of video views on YouTube come from internal search within YouTube, so just by uploading all your videos to your YouTube channel (and optimizing your titles and description!) you should get a certain amount of traffic. Plus don’t forget that Google now owns YouTube. And Google loves video. There has been a significant increase in how much videos positively impact your search engine rank. While I don’t have an inside track on the Google algorithms, there does seem to be a consensus that content such as a blog article that also includes video is likely to be perceived as higher value and may therefore appear higher in search engine rankings. Search engine entries that have a video thumbnail are also likely to draw the eye and get more clicks than text alone. Of course, search engines can’t see inside your video, so you need to title and tag your videos just as you would any other content, so the search engines know what it is about. Cleverly crafted videos with elements of humor, shock, entertainment and controversy will make it easy for your audience to recall not only what your video is about, but also your brand when it comes time to make a purchasing decision. Videos engage the viewer much more than a page of text. A video can do it all for you — personalize your business and connect with your viewers on an emotional level. An engaging marketing video is more conversational and your customer will get to know you and trust your brand. 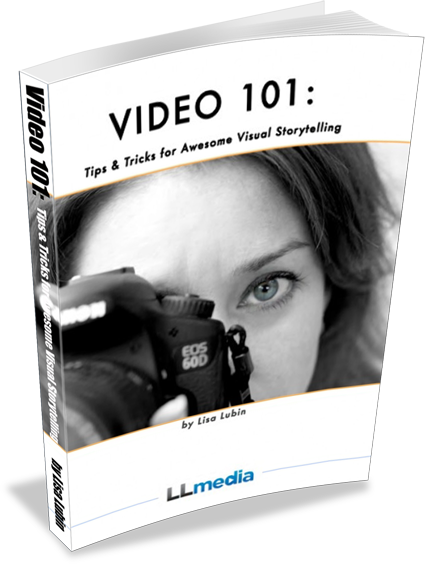 Using marketing videos has direclty led to conversions and sales. Therefore the funds you invest in video today can make you some serious money down the road. 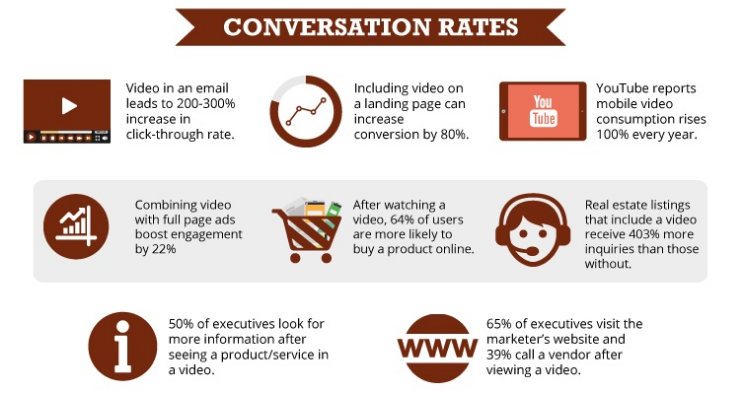 Some say that adding a video on your landing page can increase conversions by 80%. People spend more time on websites with video than those without. And according to TubularInsights, 500 million people are watching videos on Facebook every day. The conversion rates on video are staggering. 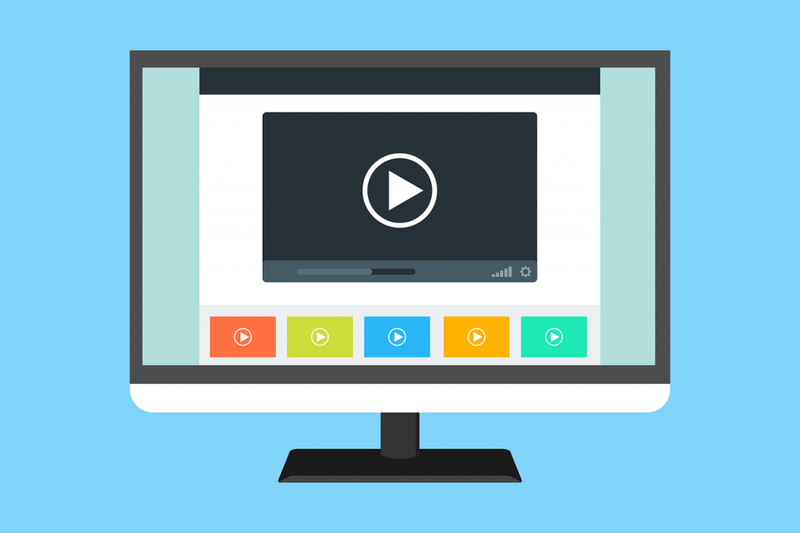 Today, users are much more likely to subscribe and/or buy your product after watching a video. According to Entrepreneur, by 2019, 80 percent of online content will be video. That’s huge. It’s clear that video is here to stay and only getting bigger. If you haven’t already, now is the perfect time to add videos to your marketing arsenal. Is your brand ready to jump into the video game, but doesn’t know where to start? Reach out to LLmedia for guidance!